Cluttered workspaces leave me feeling a bit frantic and unfocused, which of course leads to a pretty unproductive day. I prefer to keep everything in its place. This allows me to not only find what I need without having to look for it, but it helps me accomplish more when it’s time to slay that to-do list. 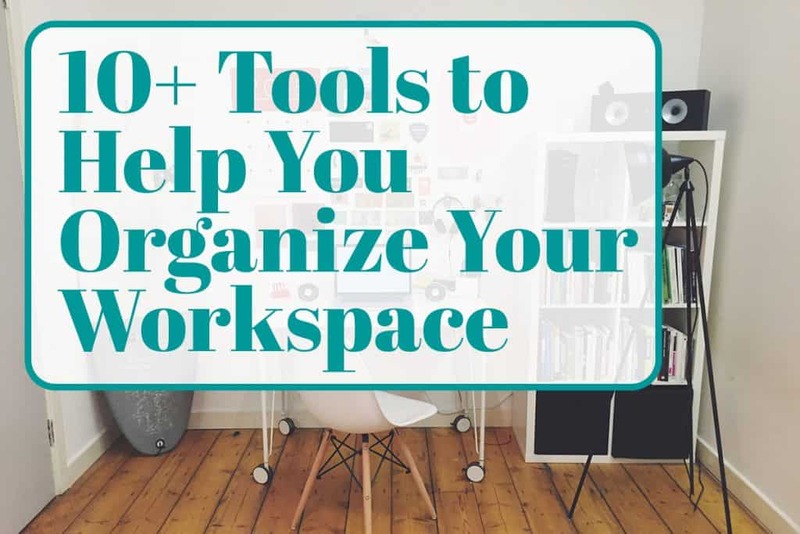 Here are 10+ tools that will help you organize your workspace and keep it clutter free no matter how big or small of an area you have to work with. I like to keep my bullet journal in a place where I can access it easily or put it away quickly. This monitor stand is perfect for just that! I can slide my journal right under the stand in no time and have more of my work surface available. 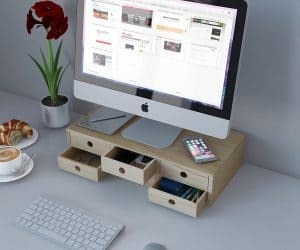 Here is another monitor stand that will not only give you more space, it will give you some drawers! 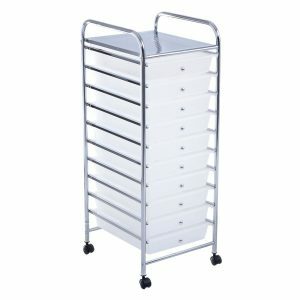 This is an easy way to add drawers to help you really organize your workspace. There are some pens manufactures that recommend storing your pens horizontally. 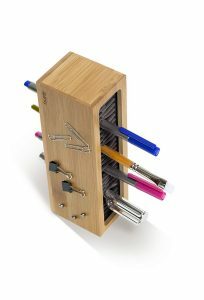 This tower has all kinds of room to store those pens and it’s also magnetic! I am all about getting multiple uses from one item. If you are like me, you have more than 2 or 3 pens. With 16 compartments, this 4-pack storage organizer set will give you plenty of room for all your pens, pencils and even paint brushes. 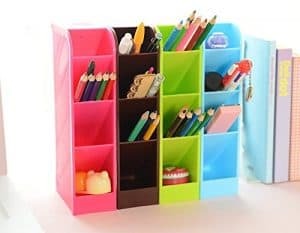 Not only can you really sort and organize with this, the fun colors add a little pop to your workspace which is always fun! 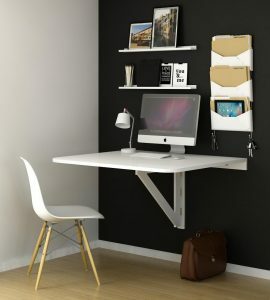 When you have limited space on your desk, utilizing wall space is the perfect solution. 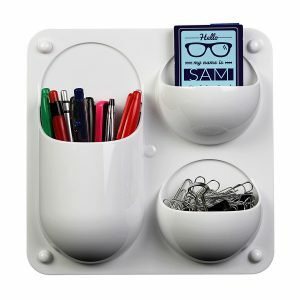 Grab one (or a couple) of these wall mounted caddies and you can clear up your work area in no time! Hang these file holders on the wall to keep any papers or small notebooks organized and out of the way. The set of 3 can be attached together or you can hang them separately. They even come in black if you prefer a more sleek look. I added a small wall shelf above my desk and I absolutely love it! It gives me extra space to store my pens and even a small lamp while still keeping them within reach. It also adds a bit of depth and character to the space that was much needed. 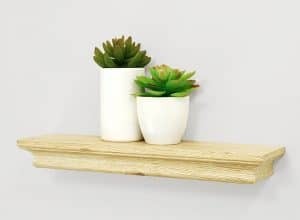 This shelf comes in 3 sizes so you can pick one that’s just the right size for your space. While drawers are a great way to hide your stuff, they aren’t always the best way to keep things tidy. 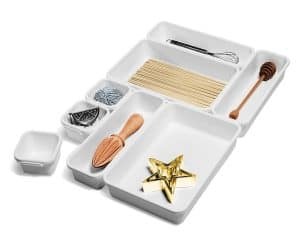 I love these organizer trays because you can customize them to fit in your drawers no matter the dimensions. They also lock together, which is a nice little extra feature. Since I am very much a pen and paper kinda gal, this is a must-have for my workspace. It keeps all my papers and folders organized in the slanted shelves and I can stick notebooks on the bottom shelf. 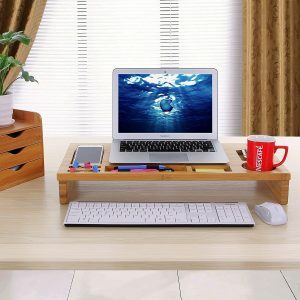 If you like your desk set to match then this one is perfect for you! It has everything you need to organize your notebooks, papers, pens and even sticky notes. Plus who doesn’t love rose gold? I know I do! If I ever end up in a workspace without drawers, this is my solution. It works great to keep all of my supplies separated and in their place. 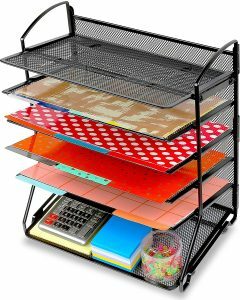 You can stick it under your desk or right next to it so it doubles as another small work or storage area on top. 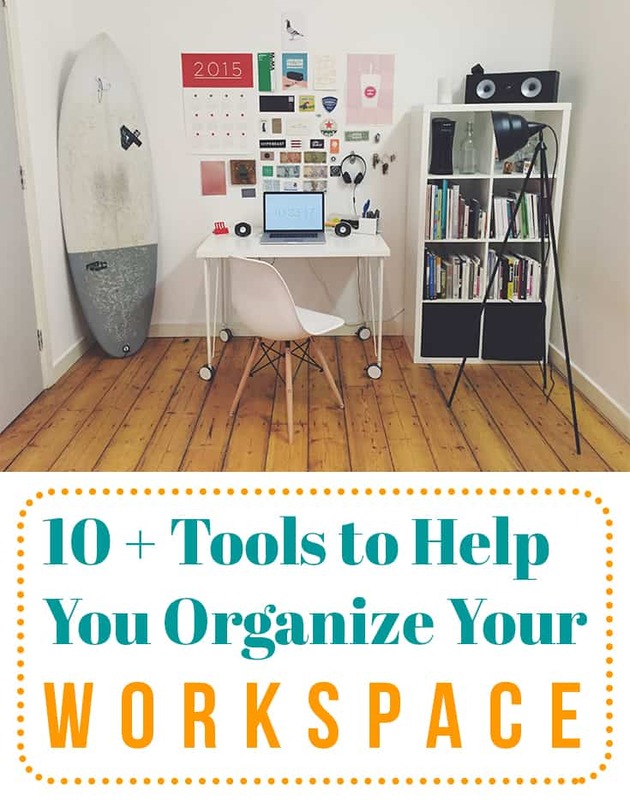 I hope that this post was helpful and gave you some solutions on how you can organize your workspace. 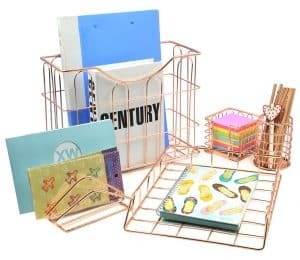 No more looking frantically for that important paper you put “somewhere safe” or trying to find a pen to jot down a number while the person on the other end of the line is impatiently waiting! It only takes a one or two clever solutions to massively improve your productivity and make your whole day go more smoothly.